MARDAN: At least seven people were killed and six injured when two rival groups traded gunfire over a financial dispute on the first day of Eidul Adha in the limits of Toru Police Station, police said. According to police, one armed group led by Khan Ghalib and another group led by a man named Saddam exchanged harsh words over financial disagreements in Daki village, Toru and later traded heavy gunfire. As a result, seven people were killed and a number of others sustained injuries. The dead were identified as Mubasir Hussain, Mohammad Hussain, Raj Wali, Sabir, Sartaj, Badiu-Zaman and Fazle-Rehama. 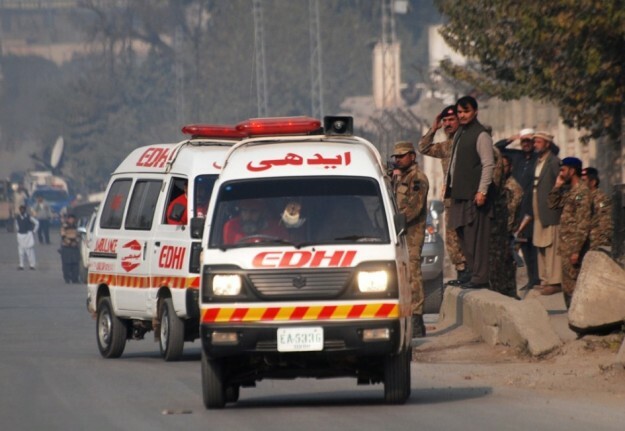 The injured were identified as Ikram Hussain, Izhar Ali, Dil Afzala, Shahzad, Sartaj and Tamiya. The injured were shifted to a hospital for medical treatment but one man, identified as Sartaj, later succumbed to his injuries. According to police, two separate First Information Reports (FIR) of the incident have been registered and an investigation initiated.